Vision 4 Education is a special time for each of our denominational colleges to receive funds raised by IPHC women throughout the preceding year. It provides scholarships for students and resources for IPHC institutions. We invite everyone to participate in the annual V4E events and offering. Please consider attending an event near you. October 4th at Holmes Bible College there will celebrate two dedications this year. At 4:00 pm the “Leggett Way” will be dedicated in honor of Bishop James and Faye Leggett. Then the new van will be dedicated in honor of Mr. Daniel leRoux. 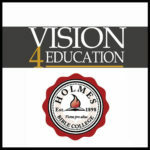 The college will host a reception in the Ellenberg Student Center at 5:30 pm, then the V4E service is at 7:00 pm in the Holmes Memorial Tabernacle. 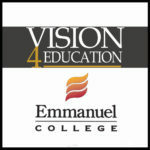 October 5th at Emmanuel College the V4E program and luncheon is at 10:00 am in the John W. Swails Center. Over 900 students, faculty, and staff look forward to having all the representatives from various conferences present for this special day of fellowship and inspiration. The program will include testimonies and music by students. November 3rd, Southwestern Christian University will celebrate the inauguration of their new president, Dr. Tom Murray as well as homecoming basketball games in the afternoon. That evening they will have the Vision 4 Education Banquet. 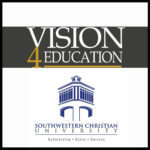 The Vision 4 Education events are dedicated to the offering presentations from our IPHC conferences. To include your offering in the V4E giving total, please be sure your offering is at the conference ofﬁce in a timely manner or give online.